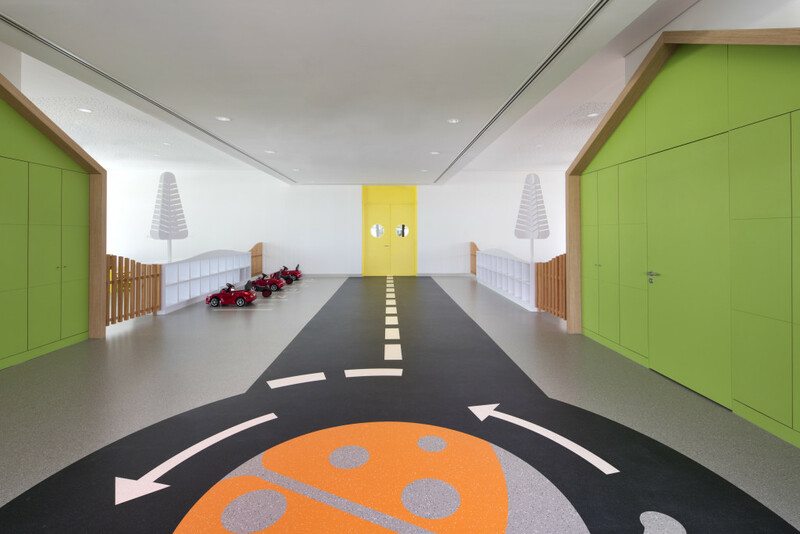 From the outset both the design team and client agreed that the major inspiration for the design of the Ladybird Early Learning Centre should inspire young minds ‎through the creative use of natural light, views, internal and external spatial sequences. The building comprises three primary wings radiating from a central heart containing the reception, a café for parents to congregate and internal play areas. All classrooms facing onto the courtyard have large glazed screens that open onto shaded play decks that further blurs the distinction between inside and out encouraging the children learn through exploration. 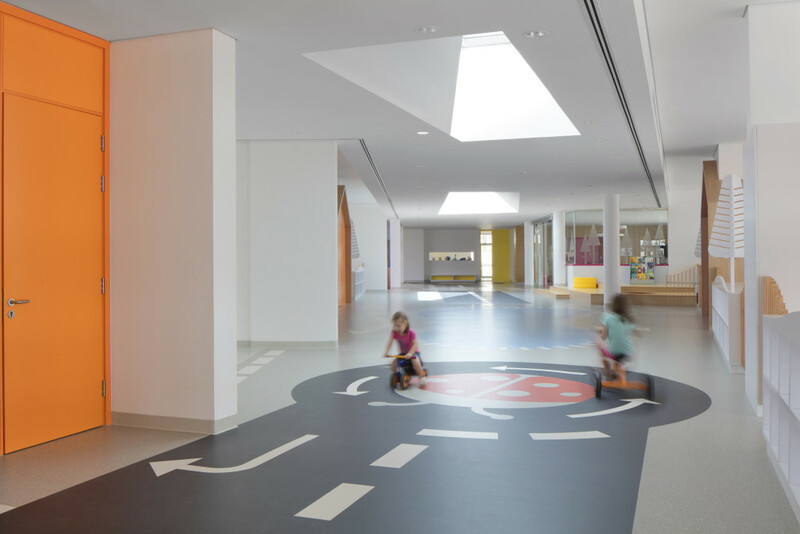 This interior landscape was designed to enable pupils to learn by discovery and exploration. Internal streets with road markings and roundabouts, and even a duck pond, are punctuated with houses between each open classrooms to represent an exterior landscape which can only be accessed in the winter months. The houses double as bathrooms, storage and washing facilities for both children and adults. Each of the age groups is represented by a different colour of ladybird to delineate departments. 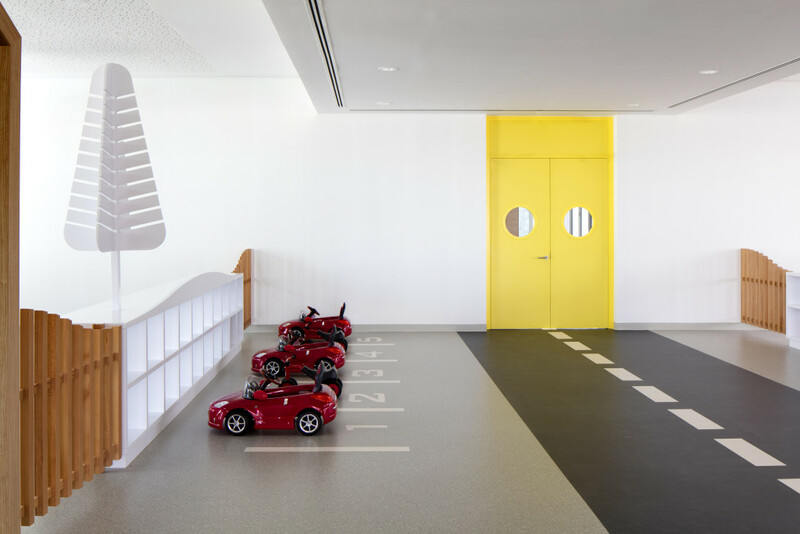 A simple palette of white render and coloured ceramic tiles was used in conjunction with coloured features to aid location of entrances and wayfinding. Colourful signage increase the visual presence of the school along the key transport routes.